An asymmetrical VR game for two. 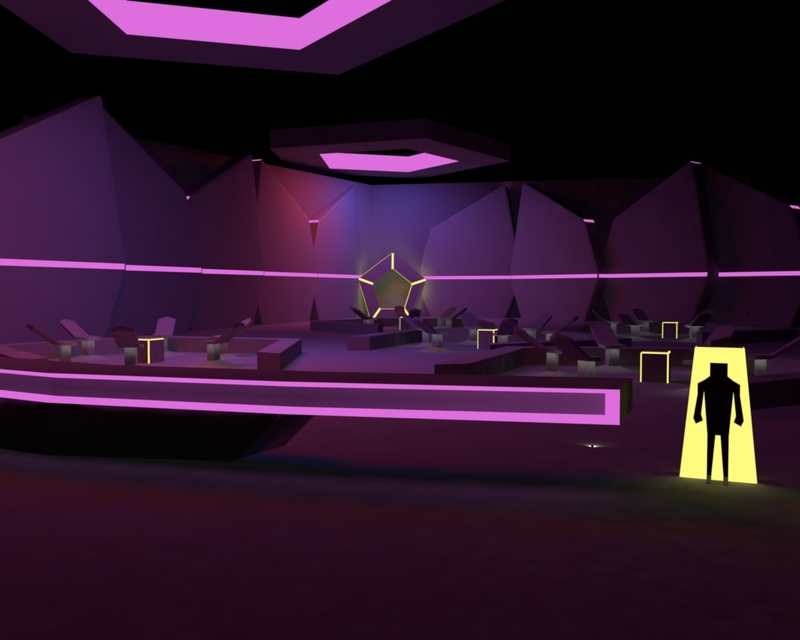 Play as hacker or agent, utilizing keyboard-input or room-scale VR. Work together to fight against the enslavement of humanity. 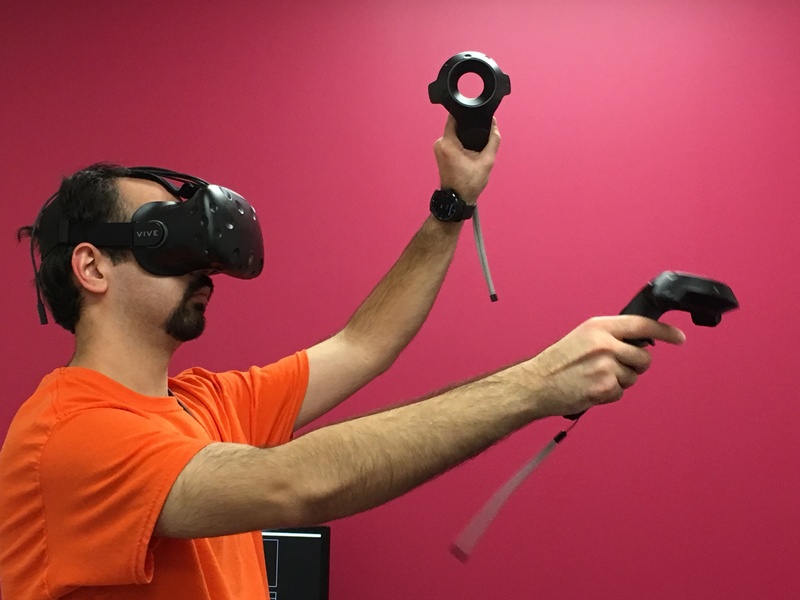 CtrlShift is a local co-op game, pairing VR and PC, where two players are each faced with unique challenges, putting emphasis on communication as a vital part of the gameplay. The aim is to marry two different kinds of player experiences, making this a side-by-side shared experience, where the asymmetrical information is key. Strap into your headset and bring your custom built, throwable Wireless Access Point (affectionately called W.A.P.) and your laser readout. Your hacker will upload you into the vacant mind of one of the poor souls patrolling the headquarter halls, overtaken by the Hive. Be stealthy, crouch behind desks, or lose your enemies in the labyrinthian innards of an office building. Throw your WAP to give your hacker local access to nearby hackables, think tactically, retrieve information and reach the mainframe in the heart of the headquarters - and then make your escape! Give that stress ball on your desk a good squeeze and warm up your fingers before hitting the keyboard. Get ready to help your nimble agent get through the maze like layout, and all the way to the mainframe, unseen. You will have to think tactically, read maps and hack the environment for your agent. But you are not safe just because you are in an office chair; you can get counter-hacked, your agent can get caught with disastrous results, and better keep an eye on those alert levels!